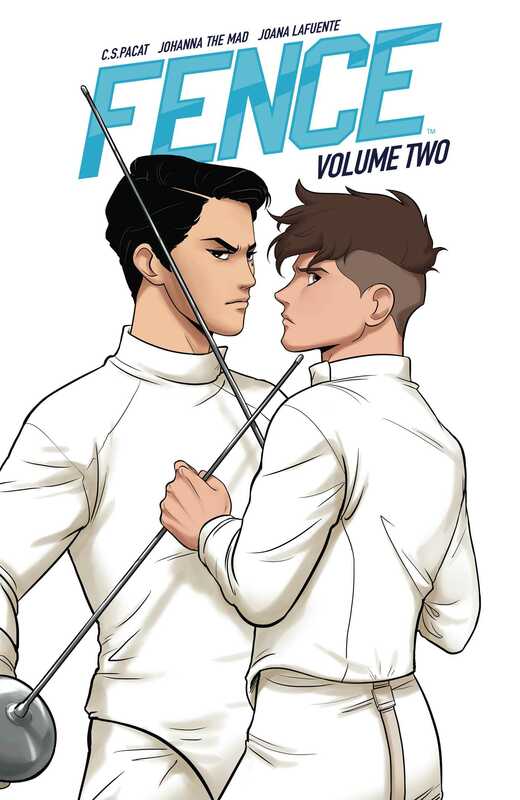 Nicholas Cox is determined to prove himself in the world of competitive fencing, and earn his place on the Kings Row fencing team, alongside sullen fencing prodigy, Seiji Katayama, to win the right to go up against his golden-boy half-brother. Tryouts are well underway at King’s Row for a spot on the prodigious fencing team, and scrappy fencer Nicholas isn’t sure he’s going to make the grade in the face of surly upperclassmen, nearly impossibly odds, and his seemingly unstoppable roommate, the surly, sullen Seiji Katayama. It’ll take more than sheer determination to overcome a challenge this big! From the superstar team of C.S. Pacat (The Captive Prince) and fan-favorite artist Johanna the Mad comes the second volume of this acclaimed, dynamic series.